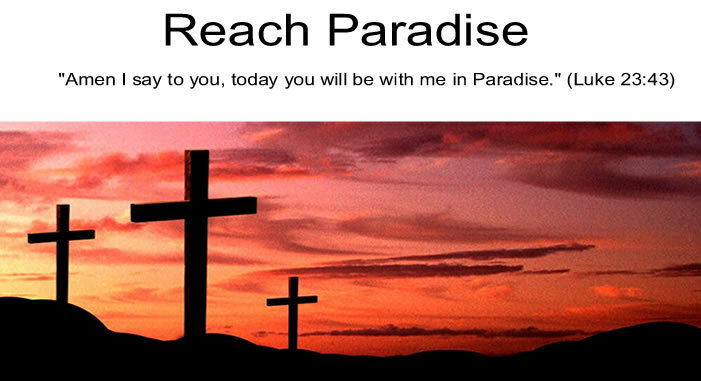 Reach Paradise: Would *You* Go? If you are reading this right now, there is a good chance you are home. And if you are home, there is a good chance you are safe and sound. Now imagine you were reading this post, and your CNN or BBC news feed popped up and warned of a terrible, terrible event happening in the town right next to you. Imagine a group of men had roadblocked the entrances to that town and were killing folks one-by-one as they entered. And another group of men was going door to door in that town torturing people. Would you get up from your chair, grab your car keys, and drive towards that town? As horrible as it sounds, you'd be fine because you'd be safe and sound in your town. In your comfy home. But what if you later found out that one of your loved ones was in that town? Would you do it then? How long would you have to think about it before you nervously gathered up the strength to drive into danger? How sick would your stomach be? Would you put your own safety aside and risk death to save a loved one? I used to think of Palm Sunday as a glorious day. 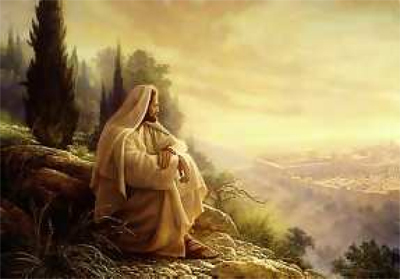 I imagined Jesus riding peacefully into a palm-branch-lined Jerusalem. The sun was shining. Puffy white clouds were in the air. People were overjoyed to see Him. Then I looked at it from our Savior's point of view. He basically chose to ride into a town where people were ready to kill Him. But He did it to save His loved ones. I hope you are having a Blessed Lent. As always your posts get to the heart of the matter in a way we can all relate to. Since my return to the Church, I have had some difficulty with Palm Sunday precisely for the reasons you describe here. These same people who cried out Hosanna would later cry crucify him! I guess what really troubles me is that I know I have been one of them. All I can do now is thank and praise Him for His love and mercy. And to think that Jesus knew throughout His life as He was growing up what is to happen to Him. God bless you Michael for this post. You always have a unique way of looking at things, Michael. Thank you - this post shows the immense love Jesus had in His Heart for people. We know He knew what was going to happen to Him and what a terrible burden that must have been! Very nice post Michael, you always make me think.. Like Karinann, I have been one of them too, makes me sad to even think about it. it really makes me think and helps me put my life into perspective. Great post, Michael! I never thought of Palm Sunday from that perspective, but of course Jesus knew. I pray I would be willing to go into danger to save a loved one, but I don't think I'd know unless I got into that situation. Thanks for making me think.